School groups host fundraising events and campaigns all year to help offset educational costs and provide exciting new opportunities for students. A great fundraising letter can help solicit the largest participation possible using persuasive writing in a conversational tone. Fundraising letters typically fit into two categories, either a request for funds or a notice for an upcoming event. 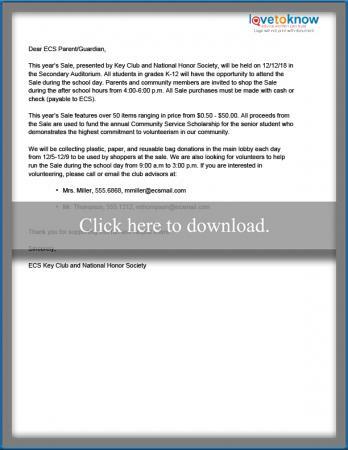 Click on the image of each sample letter to download and print. An Adobe printable guide can help if you run into any issues opening the documents. Both samples are completely customizable so you can change a few details and use them or find inspiration from the wording. If you simply want to ask parents or business for direct monetary donations in varying amounts, the Money Donation Fundraising Letter provides the basic framework. The check boxes allow donors to select a donation amount easily. Customize the document by adding in the specifics of your group, your purpose, and desired donation amounts. This letter is great for larger projects where you need to raise a lot of cash fast. It also works well for groups who don't have a large population to help sell goods or host an event like special needs classes or rural schools. When you have a fundraising event planned, it's good practice to send an informational letter home with all families so they can be aware and choose whether to participate. 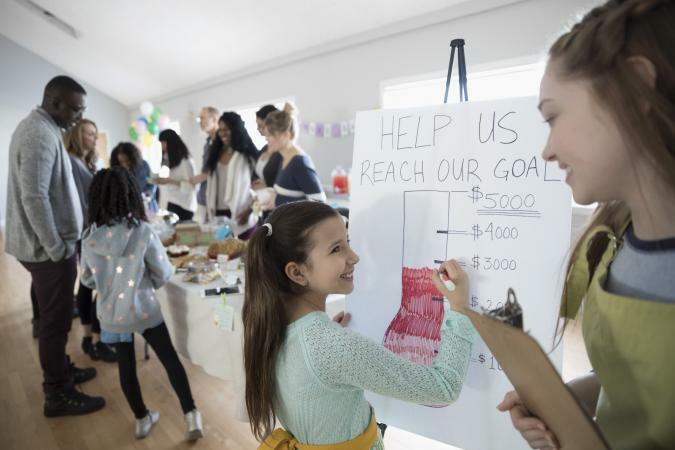 Whether hosting a bake sale, walk/run, or coat drive, this Event Fundraising Letter details the date, time, and location of the actual event and provides information on how parents or other community members can get involved. Add in graphics like your school logo or mascot to make it more visually appealing and professional-looking. Fundraisers are only successful when people know enough about them to get engaged. Spread the word about your needs and plans to fulfill them and others are sure to jump on board. Distribute letters more than once. Send out the letter about one month before the fundraiser begins so people get it on their radar. Share the information again during the week before the fundraiser as a reminder. Getting letters out like this gives you the chance to create momentum and maximize participation. The first part of marketing a school fundraiser involves sending letters out to all school staff and families. This can be done in a mass mailing or by distributing letters to individual teachers who send it home with the kids in their classroom. After you inform the school, spread the word to your community. Hang the letter and flyers in public places like the grocery store, post office, library, and banks on community bulletin boards. Mail letters to area businesses. Ask other charitable groups to hand out letters at their events. Put letters on cars in the school parking lots during drop off and pickup times or during sporting events and concerts. School fundraisers find success in the number of participants and donors. Get inspired by these sample letters to create your own and maximize your fundraising potential.